The 3rd largest state of the United Arab Emirates. Sharjah’s history dates back 6000 years when its believed to have been called Sarcoa. You can explore, experience and discover the secrets of the unique Arab lifestyle and Islamic culture. A good way to do so is by renting a cheap rental car. Sharjah, one of the largest cities in the United Arab Emirates, is a fully-fledged suburban area with plenty of attractions. With historical monuments, museums and mosques, Sharjah is perhaps the only cosmopolitan city to feature in the Persian Gulf and the Gulf of Oman coastline. With our car hire services available at a great rate, there is no reason not to explore this beautiful area. While you may have thought Sharjah was all about the sun and the desert dunes, the Natural History Museum offers you a different viewpoint. Featuring lovely species of plants and animals which are found along Sharjah’s awesome seashore, this museum is a delightful place to visit. With our car hire services in tow, you can visit a host of other museums in the city – the Art Museum, the Islamic Center and the Heritage Museum being a few examples. Situated in the middle of the Burj Avenue and the Al-Maraija Road, Sharjah Heritage Avenue is a picturesque destination and a beautiful area where you can see plenty of old-styled houses, monuments and mosques. Certain places to visit in the Heritage Area are the Sharjah Calligraphy Museum, the Bait Al-Naboodah and the Souq-Al-Arsa. The Al Hisn Fort is situated in very close proximity with the Sharjah Heritage Village and occupies most of its vast expanse. Renovated and turned into a museum representing the Sheikh culture today, the Fort was constructed in an Arabesque style during the 16th century and stands tall with its minarets and vantage points even today. A drive into the Heritage Village using Sharjah car rental services would allow you to see all of this and more. More like an information centre with entertainment options geared towards children, the Sharjah Desert Park is a beautiful enclave in the vicinity of Sharjah, consisting of museums, galleries and play areas. A guided tour into the Desert Park would take you around the museums, art galleries and wildlife conservatories and give you an insight into the animal life in the Arab Peninsula. 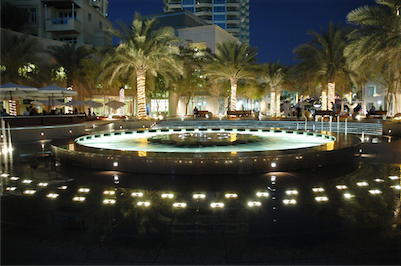 A famous town square featuring modern attractions such as malls, shopping arcades, cafes and restaurants, walk plazas and promenades in its midst, the Al-Quasba is also called the ‘Eye of the Emirates’ and is more like the Waterfront Area with wide entertainment options. Sharjah also has various mosques such as the King Faisal Mosque and others, which can be visited using Sharjah car rental services. Car hire offers so many solutions for travel that it would be a shame not to take advantage of it. You can also visit the vibrant city of Dubai nearby. When traveling we advise to carry some Dirham AED to avoid any unwanted surprises. At Sharjah Airport there are Money Exchange offices in order to change your local currency. The local time code for Sharjah is GST. When traveling to Sharjah make sure to check the local weather conditions in order to avoid any unpleasant surprises. Sharjah has approximately 1.4 million inhabitants. Driving around in the city of Sharjah with a rental car can be a hassle but not impossible. Its a good way to move around but we advise to have a look at the local traffic rules as they may vary with what you are used to. Take in mind that in rush hour traffic can be pretty dense and it can take longer before you reach your destination. Parking your rental car in Sharjah can best be done in a garage. Its safer for you and your rental car. There might be the possibility to park your rental car in the outskirts of Sharjah and move around by public transportation which is not too expensive and will compensate for the parking fee you will need to pay if parking in the city center. Take in mind that many big cities have a city center only accessible for locals or delivery purposes. Last month, the average car rental length in Sharjah was 4 days. The average rental car length in Sharjah is 5 days. The most booked rental car type currently in Sharjah is ECONOMY cars. Last year, the most booked rental car type in Sharjah were MINI cars. How much does it cost to rent a car in Sharjah? Last month, the average car rental price was 145 USD. Last year, how much did it cost to rent a car in Sharjah? Last year, the average car rental price was 172 USD. What is the current average daily price to rent a in Sharjah? Last month, the average rental price was 34 USD per day. How much did it cost to rent a car in Sharjah over the past 12 months? Last Year, the average rental price was 36 USD per day. The car rental companies available in Sharjah are: National, Hertz, Thrifty. See below last 5 customer reviews. Our customers rated Sharjah Car Rental with an average of 0.00 based on 0 ratings.